The PLI Leadership Team includes Director, Nancy Parachini and two Faculty Co-Directors, Robert Cooper and John Rogers. In addition, there are PLI faculty members, a program coordinator, and a student affairs officer. Nancy Parachini is Director of the University of California, Los Angeles, Principal Leadership Institute and the Principals’ Center. She specializes in teacher development, language acquisition, and bilingual education. 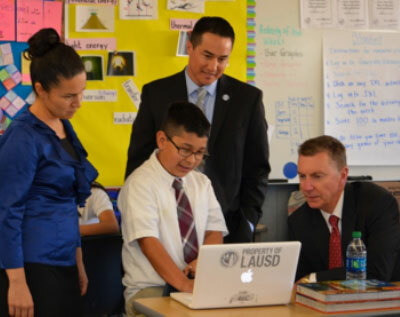 Dr. Parachini has 25 years of experience as an instructional leader within the Los Angeles Unified School District, serving in many roles including principal, evaluator, and professional development specialist. She also served as a Fellow at the University of Pittsburg’s Institute for Learning, a Program Evaluator for the UCLA School Management Program, and in 1997 earned her doctorate in Education from UCLA. Dr. Parachini is passionate about preparing social justice educators to transform the conditions of urban public schools. Robert Cooper is Faculty Co-Director of the Principal Leadership Institute and Associate Professor in the Urban Schooling division at UCLA’s Graduate School of Education. He specializes in the politics of education, and the implementation and replication of equity-minded reform. Dr. Cooper has served as a Sloan Public Policy Fellow at Brandeis University, a CORO Public Affairs Fellow, and in 1996 earned his Ph.D. in Education from UCLA. He is driven by a passion to encourage poor and minority youth to view themselves as lifelong learners. In PLI, he teaches ED 443: Social and Political Context of Urban Schools. John Rogers is Faculty Co-Director of the Principal Leadership Institute, Faculty Director of Center X, and Associate Professor in the Urban Schooling division at UCLA’s Graduate School of Education. He studies strategies for engaging urban youth, community members, and educators in equity-focused school reform. 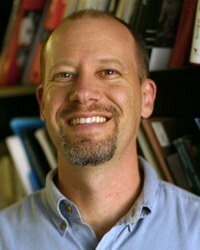 Dr. Rogers earned his Ph.D. from Stanford University and draws extensively on the work of John Dewey to explore the meaning of and possibilities for democratic education today. In PLI, he co-teaches Education 448A, Principles of Leadership and also co-teaches ED 440C: Democracy, Democratic Leadership, and Public Accountability. Raúl Alarcón is the Founding Principal of City Language Immersion Charter (CLIC), a dual language elementary school in the West Adams neighborhood in Los Angeles. Mr. Alarcón has been a bilingual educator for over twenty five years. He has worked at the UCLA Lab School for nineteen years serving in various leadership roles such as the Coordinator of the Learning in Two Languages Program and Summer School Principal. He worked on various professional development institutes at the lab school such as the Summer Institute of Archaeology for Teachers, The Critical Thinking Institute and the Primary Sources institute. He has also served as the Director of the annual Bilingual Educators in California Symposium at UCLA and was a BCLAD instructor for the UCLA Teacher Education Program. Mr. Alarcón is a graduate of the UCLA Principal Leadership Institute and co-teaches ED 420A: Theories of Curriculum and Instruction. Kelly Barnes has exclusively practiced education law for over twenty years. 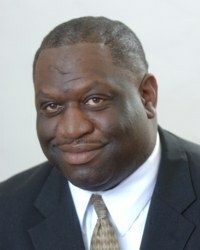 Dr. Barnes currently serves in the Office of General Counsel for Los Angeles Unified School District. She was previously counsel for the Orange County Department of Education, which also provides legal services to all districts in the county. Prior to joining OCDE in 2013, Dr. Barnes was in-house counsel for the Los Angeles Unified School District for ten years and the Los Angeles County Office of Education for five years. Dr. Barnes graduated from the University of Wisconsin with a degree in Secondary Education, English and an emphasis in Japanese, and taught for three years before attending UCLA School of Law. 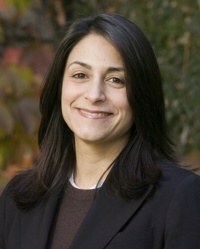 Dr. Barnes earned her doctorate in Education from UCLA in 2004. Dr. Barnes has extensive experience in advising schools, with specialization in student and employment issues. She is dedicated to educational equity for all students and has particularly focused on students experiencing homelessness, expelled students, and adjudicated youth. In PLI, she teaches Education 296 G & H: Law and Educational Practice. Mr. Campos has more than 20 years of experience as an educator within the Los Angeles Unified School District as well as Superintendent of Schools for a charter operator. His children’s book, Muffler Man, was a finalist for the Tomas Rivera Children’s Book Award. Mr. Campos serves on the Board of Directors for Reading Partners as well as the Police Activity League (Rampart Division, Los Angeles Police Department). He was selected as a Fellow for the National Council of La Raza’s Leadership Institute for Latino Leaders sponsored by the Gates Foundation. Mr. Campos co-teaches Education 470A: School Management and Operations. 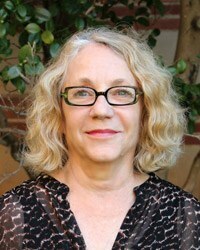 Christina Christie is Chair of the UCLA Department of Education. Her work has three main foci: Applied evaluation research studies, Research on evaluation practice, and Theoretical analysis. She is committed to training educational scholars in mixed-methods, and evaluation and research methods. She is the former Chair of the Theories of Evaluation Division and the Research on Evaluation Division and now serves on the board of the American Evaluation Association (elected) as member at large (2011-2013). She served as a section editor of the American Journal of Evaluation (2004-2009) and serves on the editorial board of Studies in Educational in Evaluation. In PLI, she co-teaches Education ED 411A: The Principal as Researcher. Minnie Ferguson is a co-founder and Director of Education of Semillas Community Schools, a Mexican Indigenous, non-governmental, community-based, educational organization whose mission is to cultivate higher education and advance social justice as Indigenous Peoples. Ms. Ferguson is also Head of School of Anahuacalmecac International University Preparatory of North America Charter School in East Los Angeles. She earned both a Bachelor of Arts in Psychology and a Master of Arts in Urban Planning from the University of California, Los Angeles. She also holds a Multiple Subjects Teaching Credential, an Administrative Services Credential and a Master’s in Educational Administration from the California State University, Los Angeles. 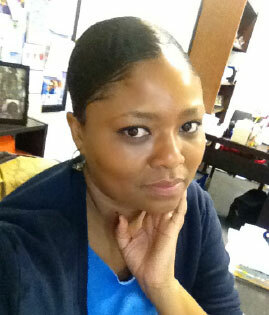 Ms. Ferguson is a trained consultant, program evaluator, and workshop leader for the International Baccalaureate. As a student at UCLA, she helped lead a student movement which designed and founded the Cesar Chavez Chicana and Chicano Studies Department. Beginning with this experience, Ms. Ferguson has been involved in educational transformation for over two decades. Ms. Ferguson is a PLI Field Supervisor and instructs ED 498A/B/C: Field Experience. 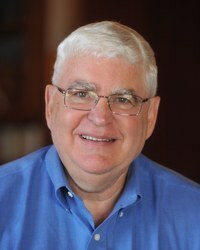 Chuck Flores, Ed.D.has been an educator for over thirty years. He has served as a Teacher, Bilingual Coordinator, Dean of Students, Assistant Principal, Principal and Coordinator of Operations for Local District 4 (LAUSD). A native of Southern California, Dr. Flores was born and raised in the city of San Fernando, and is a product of the Los Angeles Unified School District. A graduate of the Rossier School of Education at the University of Southern California, Dr. Flores earned his Ed.D. in K-12 Leadership in Urban School Settings. His dissertation, Preparing Leaders for the Challenges of the Urban School, looks at the work of principals in urban schools, and the support they receive from their districts to build teacher capacity as instructional leaders. Dr. Flores also has a Bachelor’s Degree in Social Studies from California State University, Northridge; a Master’s Degree in American Studies from Pepperdine University; and a Master’s Degree in Educational Administration from California State University, Northridge. Dr. Flores first started with the Principals’ Leadership Institute as a guest lecturer in the summer of 2007, before joining the staff as an instructor in School Management and Operations. He has also taught in the Los Angeles Unified School District’s Administrative Academy, working with newly appointed administrators on school management, operations, and safety. Dr. Flores believes that education is the true path by which Social Justice will be fully realized, and one whereby Equity and Access for all students will one day be attainable. In PLI, he co-teaches ED 411A: The Principal as Researcher. Megan Franke is a Professor in the Urban Schooling division at UCLA’s Graduate School of Education and Information Studies. Dr. Franke’s work focuses on understanding and supporting teacher learning through professional development, particularly within elementary mathematics. As a part of Center X, she works with UCLA’s Teacher Education Program, Principal Leadership Institute, the California Subject Matter Projects, university researchers, community administrators and teachers to create and study the development of learning opportunities for students in Los Angeles’ lowest performing schools. In PLI, she co-teaches ED 448A: Principles of Leadership. Louis M. Gomez is Professor and MacArthur Chair in Digital Media and Learning at UCLA’s Graduate School of Education & Information Studies. He is also a Senior Fellow at The Carnegie Foundation for the Advancement of Teaching. His scholarship focuses on understanding how to catalyze organizational change in schools and other institutions that aim to improve the life chances of learners. In PLI, he co-teaches ED 448B: Educational Leadership Laboratory: Improving Complex Systems. Bryk, A. S., Gomez, L. M., & Grunow, A. (2011). Getting ideas into action: Building networked improvement communities in education. In Frontiers in Sociology of Education, (Ed.) Maureen Hallinan. New York, NY: Springer Publishing. 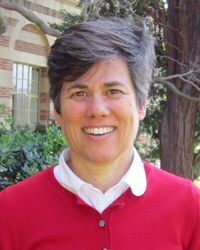 JoAnn Isken is currently the Associate Director of Academic Programs at UCLA. She recently retired as the Assistant Superintendent of Instruction at the Lennox School District. Since 1976, JoAnn has served in several education positions – first as a classroom teacher, then as a Reading Specialist, a Trainer of Teachers, and as a Principal at Jefferson and Moffett Elementary Schools, where both received the California Distinguished School Award. She was a State Approved External Evaluator for the State of California. Additionally, she has been an Instructor in graduate programs at UCLA and Pepperdine Universities and is currently teaching Transformational Leadership at Loyola Marymount University. She is a co-author of Developing Novice Teachers as Change Agents by Sheila Lane, Nancy Lacefield Parachini, and JoAnn Isken published by the Teacher Education Quarterly in 2003. In PLI, she teaches ED 441A: Leadership of Core Practices: Instruction and Student Behavior. Georgia Lazo has twenty five years of experience in education including teaching, counseling, instructional coaching and administration. She has taught at the elementary, secondary and adult school levels. She was the Founding Principal of the UCLA Community School, a unique partnership between LAUSD and UCLA. This one of its kind Pilot school is part of Chancellor Block’s initiative toward civic engagement and is a model of praxis. 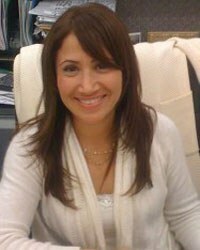 Ms. Lazo is currently principal of the UCLA Lab School. Her areas of interest include autonomous schools and equity and access to college for underrepresented minority students. She is also interested in work which challenges deficit thinking and that challenges the school to prison pipeline. Ms. Lazo earned her BA in English from the University of California, Irvine and her MA in Clinical Psychology from Pepperdine University. She is also a graduate of the UCLA Principal Leadership Institute and there earned an MA in Urban School Leadership. In PLI, Georgia co-teaches ED 440C: Democracy, Democratic Leadership, and Public Accountability with Professor John Rogers. 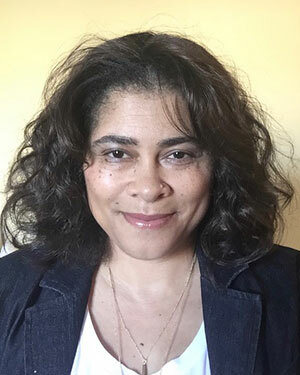 Dee Dee Lonon is a PLI faculty member with more than 30 years experience as an educator and leader within the Los Angeles Unified School District. She holds a Master’s Degree in Educational Administration from Pepperdine University and has served as a principal, curriculum coordinator, and bilingual teacher, and in other educational roles. Ms. Lonon teaches ED 470A, School Management and Operations as well as ED 498A,B,C, Field Experience. Tonikiaa Orange has worked in education for over 15 years. Her experience and interest lie in evaluation and culturally linguistic and responsive pedagogy. She has participated in the evaluation of projects such as the National Board of Professional Teaching Standards, the Pittsburgh Public Schools’ Restructuring Initiative and the Ford Foundation’s Devolution Initiative. She served as Program Manager in the Department of Curriculum and Instruction for Chicago Public schools where she managed a new k-12 curriculum for the district. Most recently, she served as the principal for Culture and Language Academy of Success Charter School (CLAS) in Los Angeles. She is currently a consultant for the Center for Culturally Linguistic and Responsive Teaching (CCLRT) where she provides professional development and coaching to teachers and school leaders across the country. Dr. Orange received a MA from Teachers College, Columbia University in Politics and Education, an Ed.D. from the University of Pittsburgh in Administrative and Policy Studies and was a Lilly Endowment Evaluation Fellow. Also, Dr. Orange has a MA from UCLA in Urban School Leadership and is a graduate of the UCLA Principal Leadership Institute. Dr. Orange co-teachers PLI ED 420A, Theories of Curriculum and Instruction as well as ED 498 A,B,C Field Experience. Merle Price has more than 40 years experience as an educator and leader within the Los Angeles Unified School District where he served as teacher, principal, Local District Superintendent, and Deputy Superintendent, Instructional Services. He is experienced in charter school reform, converted an LAUSD high school to a charter school and oversaw the LAUSD Charter School Office as Deputy Superintendent. Mr. Price is a leader in mathematics and science education and is a member of the leadership team for the National Science Foundation grant, System Wide Change for Leaders and Educators (SCALE), at the University of Wisconsin, Madison, which targets reform of mathematics and science education in urban school districts. In PLI, Mr. Price co-teaches ED 411A: Principal as Researcher and ED 441A: Leadership of Core Practices: Instruction and Student Behavior. In addition, Mr. Price teaches ED 498A,B,C: Field Experience. 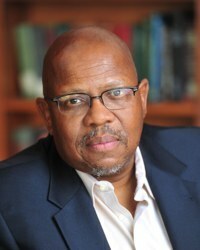 Sidney Thompson is Senior Fellow in the UCLA Graduate School of Education and Information Studies and within Center X where he serves as an advisor on a number of education initiatives. 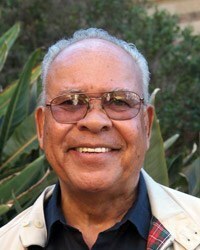 From 1956 to 1997, Dr. Thompson served a long and distinguished career within the Los Angeles Unified School District. His many roles included teacher, principal and Superintendent. He is a member of several boards and also served as a Lieutenant in the United States Navy. In PLI, Dr. Thompson volunteers his time leading information sessions and recruiting for new applicants. Nataly Birch is the Principal Leadership Institute Program Coordinator. She works closely with the PLI director, faculty, and fieldwork supervisors to support the logistics, implementation and planning all PLI related events. She provides administrative, analytical, and organization support for PLI. Nataly received her B.S. in Business from the University of California, Berkeley. Kim Matheussens is the Student Affairs Officer/Credential Analyst for the Principal Leadership Institute. As part of the Office of Student Services, Kim is responsible for graduate admissions, graduate student services, Preliminary Administrative Services Credential processing, and miscellaneous administrative assistance to students, faculty, and staff. Kim received her B.A. from Ball State University in English and German and has studied at the Katholische Universität Eichstätt and the Westfälische-Wilhelms-Universität Münster, in Germany. She taught business English to adult learners in Antwerp, Belgium, before taking administrative positions at UC Berkeley and UCLA. PLI is about praxis; it’s about digging deep into the nuances of theory and frameworks, mining for those best practices related to building sustainable, transformational, and equitable opportunities for our students, and executing intentional, social justice-driven plans at the grassroots level within our schools and communities. PLI has dramatically impacted the way in which I view the urban educational landscape today.